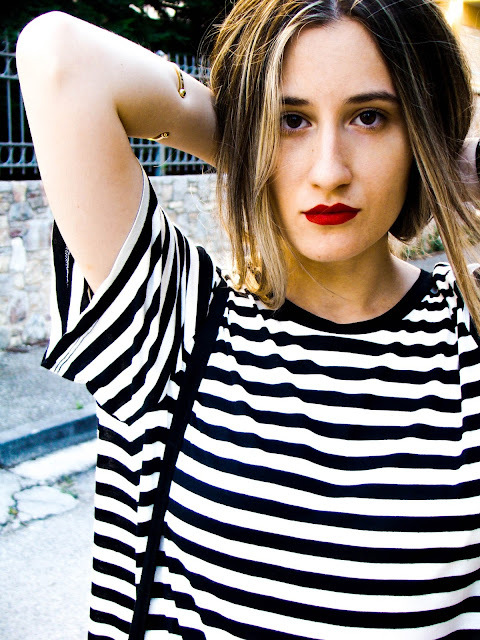 style opium: Red lips and stripes. 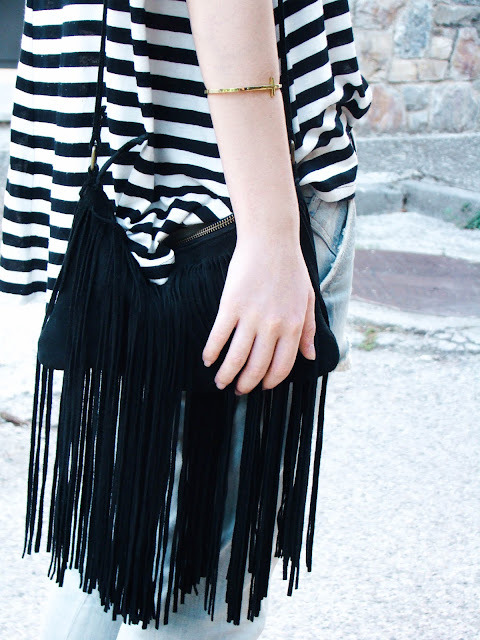 I'm all about that effortless style.. 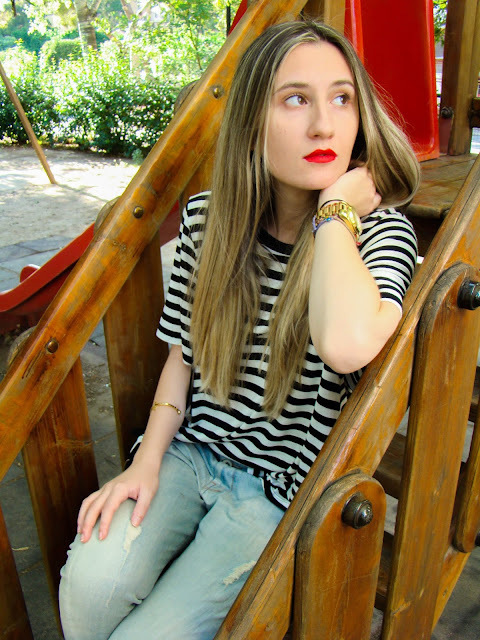 I decided to wear a simple striped tee with one of my favorite pair of jeans and chose to pair it with a bright red lip and gold tone jewllery.. 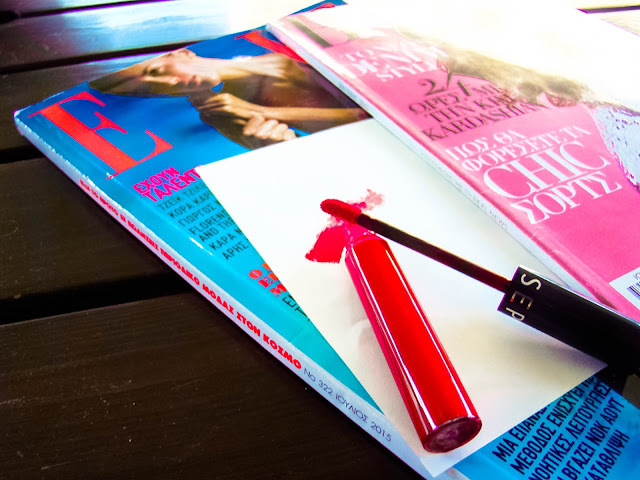 I think that red stands out more when you pair it with black and white..
My most comfortable pair of wedges I own..
On my lips I wear a matte lip stain by Sephora in 01.. I'll have a post with a review about it soon.